Mobile E-mail has become a part of everyone's life and when it comes to Corporate emails access through mobile devices it is even more critical to deliver the service to meet the user needs without compromising on information security, In today's IT world of Consumerization, Mobility is the hot topic and with the recent innovations or we could even call these happenings as Technology advancements there is a drastic change in the trend of using Corporate issued devices to access Corporate email is changed and now it is getting accessed from wide range of devices and the BYOD ( Bring Your Own Device) is getting adopted everywhere either directly or indirectly and Mobility platform is extending beyond imagination. 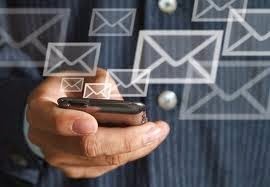 When it comes to Mobile E-mail with Exchange Server or Office 365 everyone knows the role of ActiveSync and troubleshooting issues with ActiveSync is not a easy task at times and Microsoft team has understood this complexity and recently published a guided Walkthrough on the same for Administrators to analyze the issue and take necessary steps to resolve the issue. Though this is great there are scenarios where we require some advanced Troubleshooting steps like Exchange ActiveSync Mailbox Logging and a recent Blog post on the topic was published in EHLO Blog gaining more attention towards the community to do some deep dive troubleshooting with ActiveSync. Blog post I wrote during the release time of this above blog post to reference you on the topic with some add-on read. The Excellent Troubleshooting post referred above is written by Jim Martin MSFT Sr. Support Escalation Engineer who is renowned for his excellent skills in troubleshooting Active Sync issues, this post is written here today to give you a refreshment on the ActiveSync topic and update you about the upcoming Ignite Webcast event on this ActiveSync Troubleshooting scheduled next week where Jim will demonstrate this Exchange ActiveSync Mailbox logging feature in live and other key discussion on the topic you will get a chance to get your queries cleared with the expert on the event to know more and provide a better support experience to your end users. Additionally, Review the below article covering a vital ActiveSync issue with Exchange Online ( Office 365 ) and you also have the workaround for the issue along with the reference to another knowledge base which guides you over enabling ActiveSync logging for the affected user using Outlook WebApp.